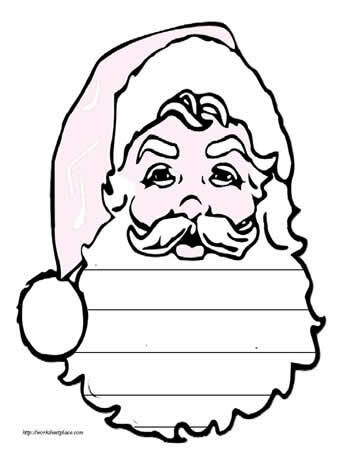 A Santa Clause shape book. Use the shape books to stimulate writing. Provide students with story starters like: Santa's New Best Friend, The Day Santa Lost his Sack, The Year Santa had to Deliver Presents by Helicopter etc. Or have students list as many Christmas words as they can or write a procedure like how to write a letter to Santa or how to dress like Santa.